Assault Lance assaulting something or the other. Announced today, Catalyst Game Labs is issuing a reprint of the successful Introductory Box Set to meet demand, and should be back on game store shelves by late summer of 2014. 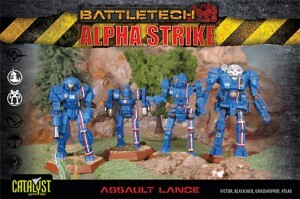 Also announced is a line of Lance Packs, using the same improved plastic miniatures found in the Introductory Box Set. Each set will be retailing at $19.99, and although no specific release date has been given it is expected to hit the streets late this year. The Assault Lance Pack and the Pursuit Lance Packs are the first ones to be going out the warehouse doors, each one also packed in with eight Alpha Strike cards as an added bonus. 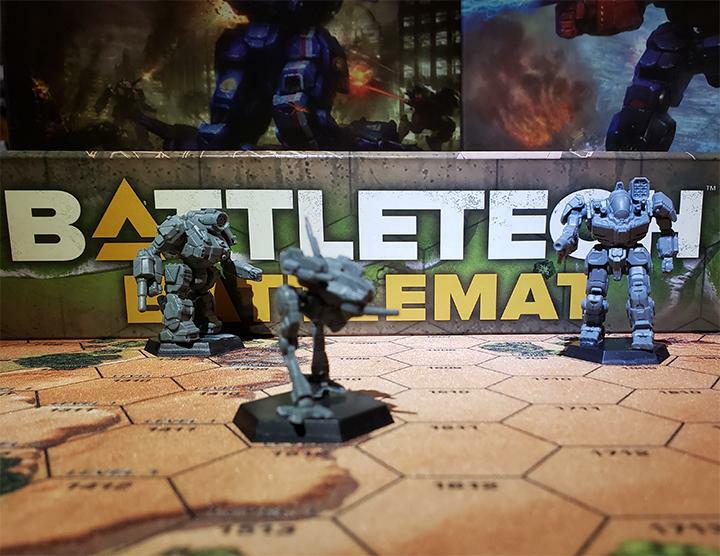 This entry was posted in Catalyst Game Labs, Miniatures and tagged Catalyst Game Labs, Miniatures on 2014/06/14 by Timbal. I don’t know why I bought that Panther. Maybe it was because none of my friends owned a Panther miniature. No matter how badly I painted it, they’d still have to use it when we played. Or maybe I just wanted my first paint job to be a smaller miniature, so it would be less imposing. For whatever reason, I purchased that Ral Partha miniature, and then proceeded home to paint my first…well…anything really. I had been playing BattleTech for about three months by that point. Ninth grade was almost over. Everyone else in my playgroup had a bunch of miniatures they had picked up and painted. It was time I do the same! So I bought that Panther and set out to make the best looking Panther I could. But I’ve never been an artist. Usually I don’t enjoy crafts such as painting. I grabbed my mother’s set of craft paint and began a project that took all night. For five minutes I stared at the metal frame. What did I want this thing to look like? After consideration, I gave it a boring brown body, but I didn’t like that very much. I used Steel for the PPC and Crimson for its eyes. A touch here and there. Before too long, it had become the Panther of 14 Colors. I had even found a place for Lilac. I sighed. I had inadvertently painted the Rainbow Kitty. For a few weeks, I brought it to game time. No one used it. Discouraged, I picked up a Stinger and Wasp and painted them dark grey, with just black and silver sections. I made them simple on purpose. They weren’t elegant, but they did the job well enough. And people played with them! Eventually, I decided to reboot the Panther. I took a bath with it, and washed it off. This would be a new chance! Forest Green was the body, and then some lighter greens, black, brown, and steel. It was Forest Camo Kitty. And yet, it still didn’t look right. I think it was used once or twice in the next year. One more time! I stripped off the camo design and painted the Panther medium gray. It took about ten minutes before I realized that was a bad choice too, but I had already begun. It was yet another sad attempt to make the Panther sleek and powerful – like its namesake. Unfortunately, a few years ago, I lost my Panther and a few other miniatures. I no longer own my first miniature experience. Today, after painting about 250 miniatures in fantasy and BattleTech, I can honestly say that on a scale of 1 to 10, with a 1 being my first Panther and a 10 being the amazing work I see online, I’m about at a 3. It’s not my thing. But that’s alright. It suffices. The Panther stays with me always though. You always remember that first miniature. What was your first miniature? How did it turn out? Do you have any pictures? This entry was posted in Community and tagged Miniatures on 2014/04/10 by Abe Sargent. Well here we go with the second half of Jon Paulson’s interview. Check out the first half if you need to catch up. 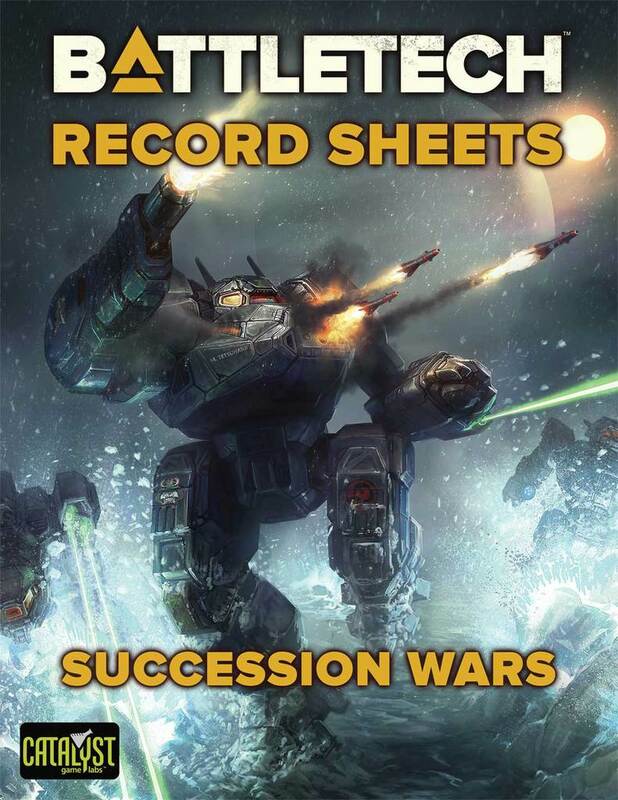 Ron: Do you plan on just offering mecha, with standardized rules for conventional modern units regularly obtained in scale through other companies? Jon: Combined arms will be present in the rules. 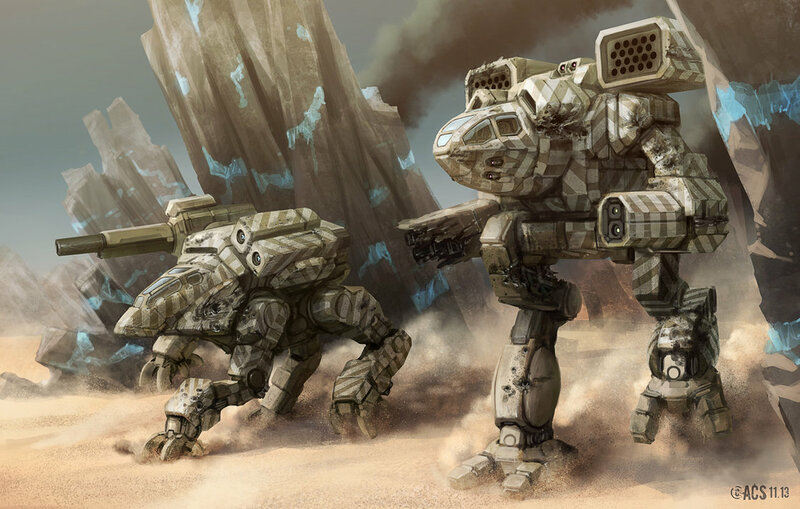 The Mecha are specialized units deployed primarily in urban zones where traditional armor has difficulty operating. The focus of the game of course will be on mecha but a good array of mechanized combat will be represented. 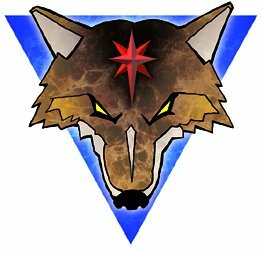 Tanks, Infantry, APC, and VTOL units will all be present and can compose up to 30% of your force in a standard game. There are a number of really good companies already producing models for those types of units so Non-mecha units are a low priority for me at the moment. I eventually plan on making my own models for them but only once the mecha are up and running. I only have so many resources I can devote and I don’t see much sense in making models that are already widely available. The mecha are the focus of the game and there are very few suitable options in the 15mm scale so that’s what I’m concentrated on. While it may seem odd to established 28mm player, mixing ranges of models is pretty common place for both 6mm and 15mm games. As the 15mm market is supported primarily by “cottage industry” ie small companies, they are generally much more supportive of each other. The Raptor, along with upcoming models in the Mecha Front series. 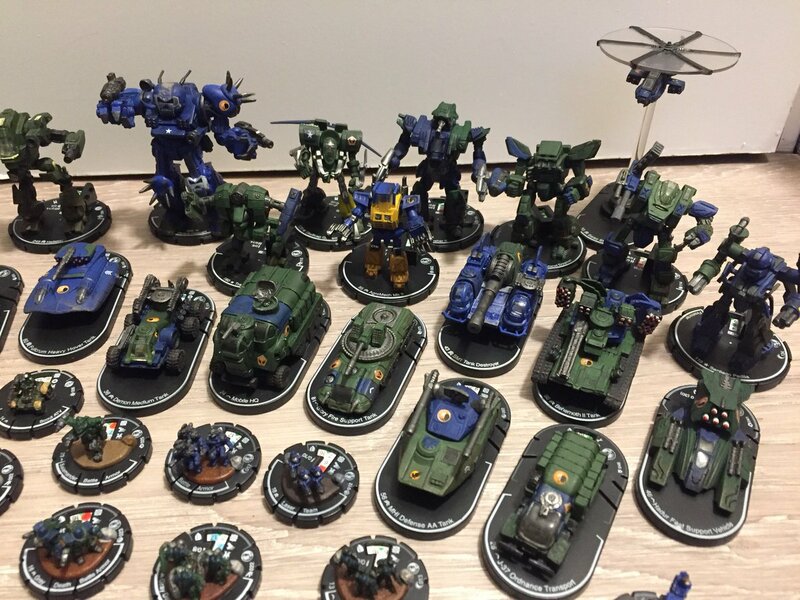 This entry was posted in Community, Interviews and tagged Miniatures on 2013/10/18 by Ron. Hey everyone. 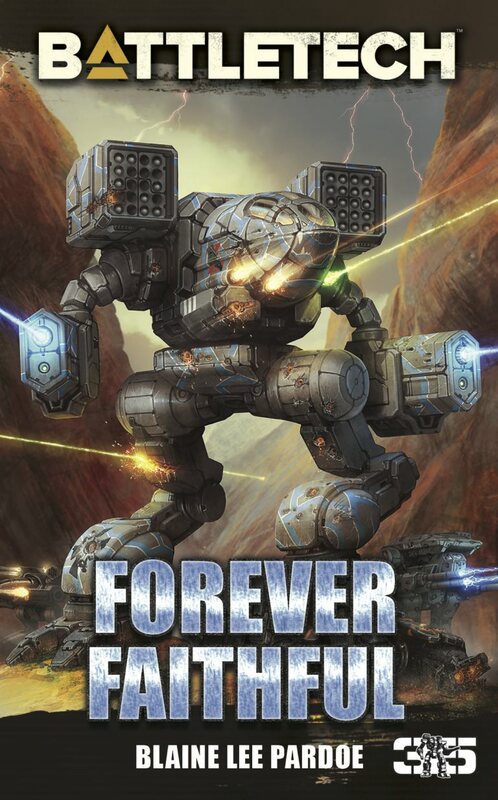 I’ve mentioned Jon Paulson and his Mecha Front work for several months now. But I thought it would be better to hear directly from the horse’s mouth what’s been going on lately. Ron: How did you get involved with developing your own line of figure mods? Jon: I’ve been modifying and scratch building miniatures for 10-15 years, about 5 years ago I started experimenting with casting some of my sculpts which people immediately showed a very strong interest in. I started selling them on eBay and through my website, demand was high enough that I decided to focus on it full time. I initially started with a random assortment of weapons and conversion pieces but I knew from the get go that if I wanted it to grow as a business I would need to expand to doing a stand-alone line. Ron: From what I’ve read on your paulsongames.com and before it the Mecha Front website, I can compare it to near-future games like Front Mission. 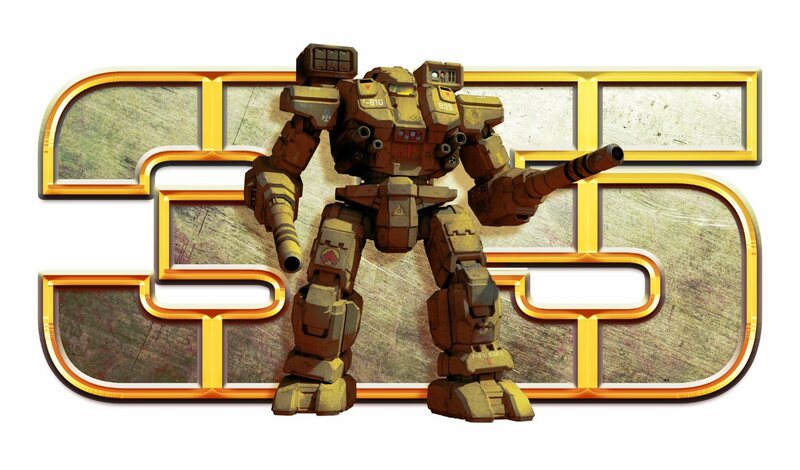 Outside of BattleTech, where did you get your idea for the Mecha Front storyline? Jon: There are a lot of different influences in the setting. I grew up watching RoboTech, early Gundam, Armored Trooper Votoms, Dougram; all of those shows had a gritty military theme to them that a lot of newer anime have moved away from. 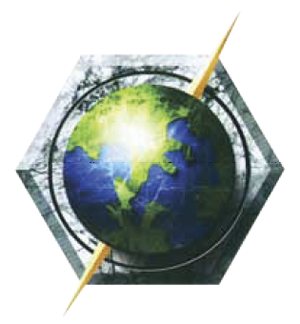 I’ve also been a huge fan of mech based video games; Armored Core and Front Mission were heavy influences. 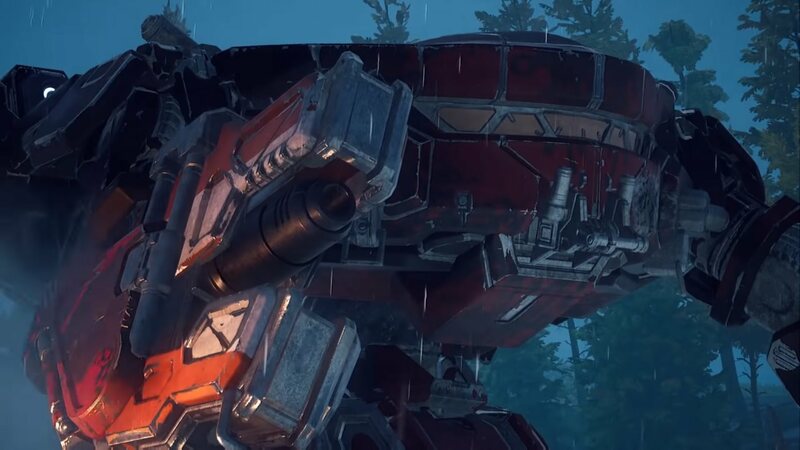 While I tend to feel that the gameplay was weak the settings and mech designs were always very cool. 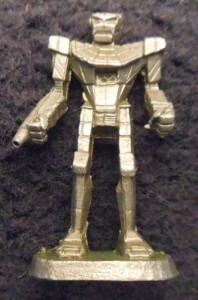 NorAM Raptor from Mecha Front: In all its Scroggliness. 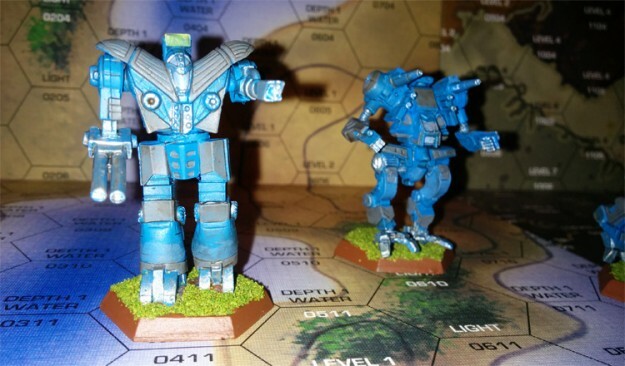 This entry was posted in Community, Interviews and tagged Miniatures on 2013/10/15 by Ron. 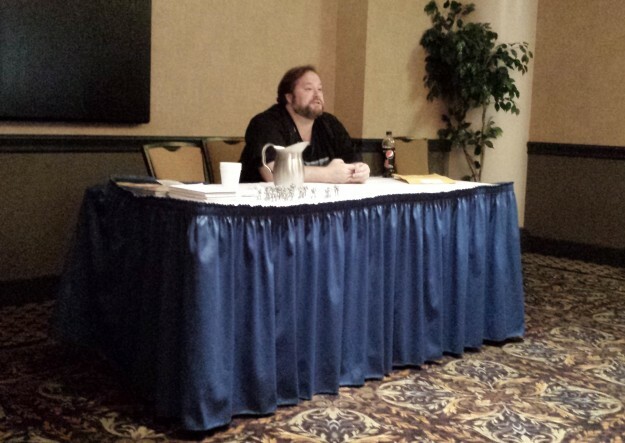 I was at GenCon this last week enjoying the insanity (you should really try to go at least once if you’ve never been), and was able to take notes during Catalyst’s “What’s Up With BattleTech?” seminar put on by Herb Beas, the BattleTech line developer. This entry was posted in Catalyst Game Labs, Community and tagged Board Game, Miniatures on 2013/08/19 by Nic. So who wants a Fully Poseable Six Inch tall Atlas Action Figure? 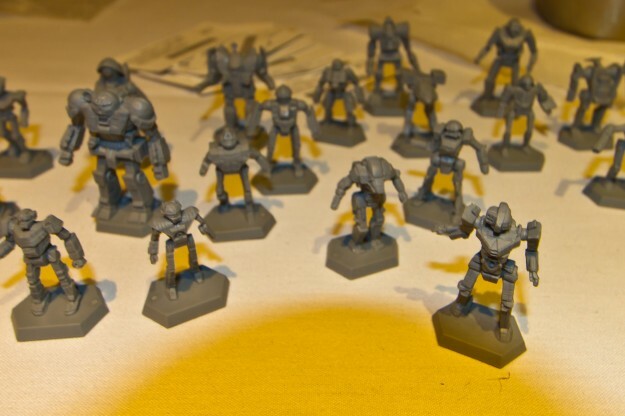 I recently interviewed a custom miniature designer who utilizes modern 3D printing technology to make custom Z, N, and even HO scale (Mecha Front) war game figures. Well I have fallen into the “Shut up and take my money” pit once more. 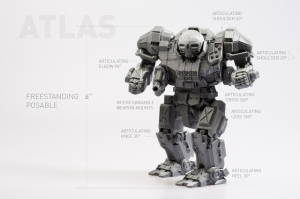 Kotaku recently posted an article on a BattleTech and MechWarrior fan with a 3D printer that has developed and is now selling this incredible Atlas figure that features eleven points of articulation. ‘Valcrow‘ designed this miniature engine of destruction with modular weapons components that can be removed or swapped- suggesting he might have other models on the way. 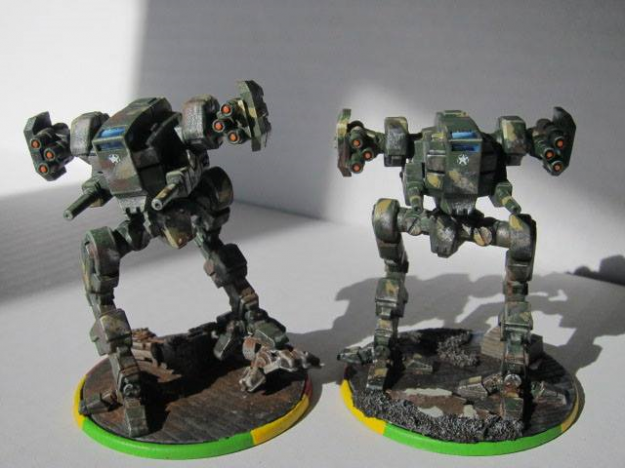 This entry was posted in Community, News and tagged Miniatures on 2013/07/12 by Ron.